The first wave of rural community and small-scale home solar PV systems often left prospective beneficiaries dissatisfied, and without the reliable, affordable access to electricity promised. That has changed dramatically over the course of recent years, and off-grid, mobile pay-go solar energy solutions are a big reason why. 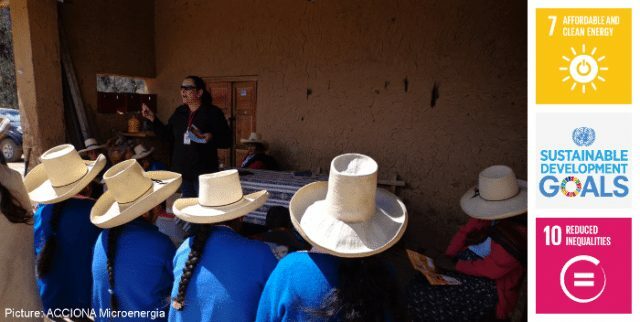 In 2015, Spain’s ACCIONA Microenergia Foundation launched a rural electricity service in the department of Loreto, in Peru’s Amazon. 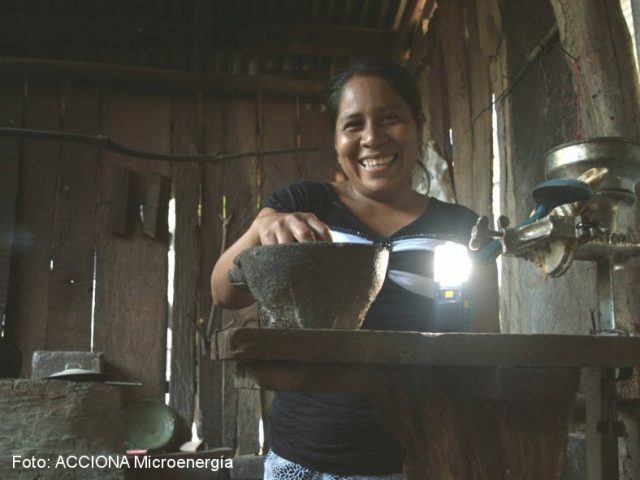 Following up with a customer satisfaction survey just recently, the foundation reported customers were totally satisfied with the Luz en Casa Amazonia Pilot Project’s innovative sustainable energy service. The two mobile PAYG 3GSHS pilot partners offered off-grid, mobile pay-go home solar systems to local residents, who pay them for them making small, affordable payments via a mobile telecoms e-payment service. As the project partners highlight: the home solar kits come with solar photovoltaic (PV) panels, a connected, smart controller/meter, wiring, three LED lamps and connections for mobile phone charging. A 12V battery and DC-AC inverter rounds out the package. Additional, compatible devices, information, advice, and repair services are provided at a store, Centro Luz en Casa, in the community center. 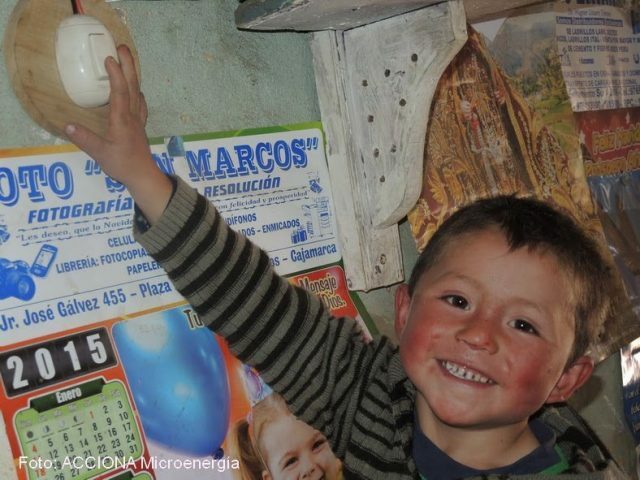 Surveying the 61 Napo households a few months subsequent to the installastion of the off-grid, PAYG-3GSHS service, ACCIONA Microenergia Foundation and FONDECYT found that 100 percent of the families said they were either satisfied or very satisfied with it. 100 percent said they thought the service was good and they would recommend it to others. lighting while preparing meals – 21%. In addition, 79 percent of families said they have stopped using alternatives that pose greater human and environmental threats, such as torches. Thirty percent said they had given up using oil lamps and 25 percent had given up using candles. Anecdotally, survey report authors noted other positive community impacts. Among these were having more time to take on other activities, such as children’s education and adult training, that could result in improved lives, livelihoods and living conditions. Besides eliminating sources of damaging smoke, project partners service and collect used batteries, conferring a significant human health and environmental benefit to the community, as does the elimination of carbon emissions and environmental degradation that resulted from diesel power generation. SDG 10 – Reduce inequality within and among countries.